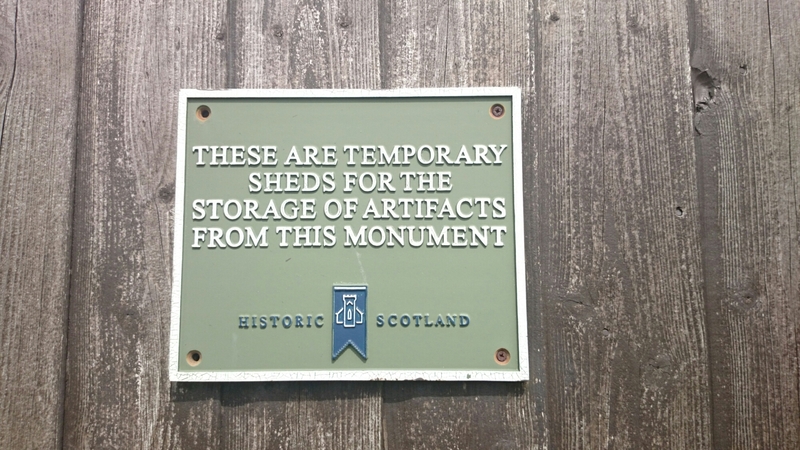 This sign today really made me chuckle and wonder just how long the temporary sheltering of the artifacts on this Historic Scotland site has been going on. 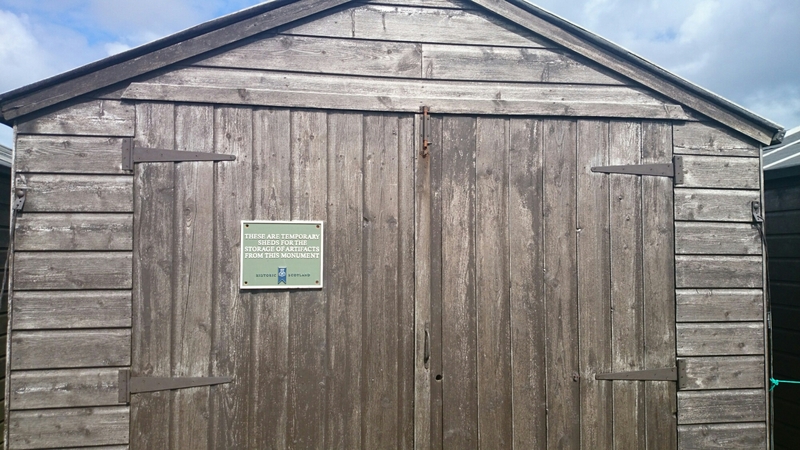 Now I’m sure that the sign has been left on purpose to explain the now permanent feature of the series of sheds at Hackness Battery on Hoy, but it was a poignant reminder of just how quickly historic sites can be changed by modern inhabitants, and this one is only a mere two hundred years old. 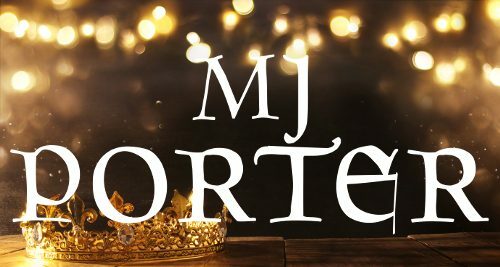 Just think what could happen in half a millenia or longer! But for now, I’m going to enjoy the sign and hope I’ve not offended, because I really had no intention of doing so. Sounds like you spent your time very wisely! I’ve never made it to Dumbarton yet so I wouldn’t have disturbed you!